Author J Washburn: Can Vibram Five-Finger Shoes Get Wet? Last week I went to British Columbia to visit my cousins. We went on two really awesome hikes. Both were several hours long, and included lots of varying terrain. 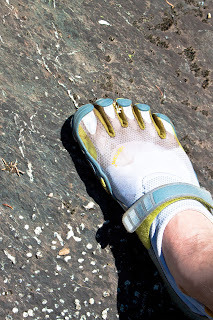 And I wore my Vibram Five-Fingers. Can you get Vibrams wet? Yes, but it’s best if you don’t. I have the Bikilas. They’re very thin, and if you step on anything remotely wet, it will get through. 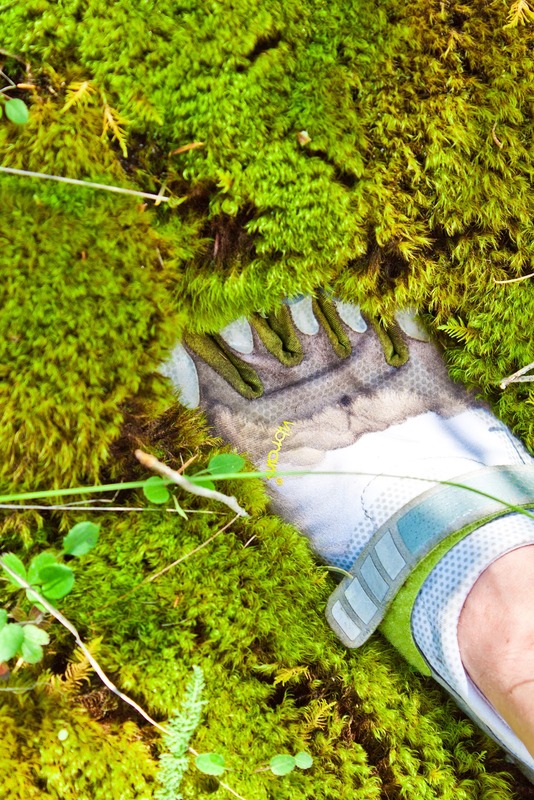 And if you’re hiking for a long time, your feet will be soggy and uncomfortable. Do Vibrams damage your feet and legs? 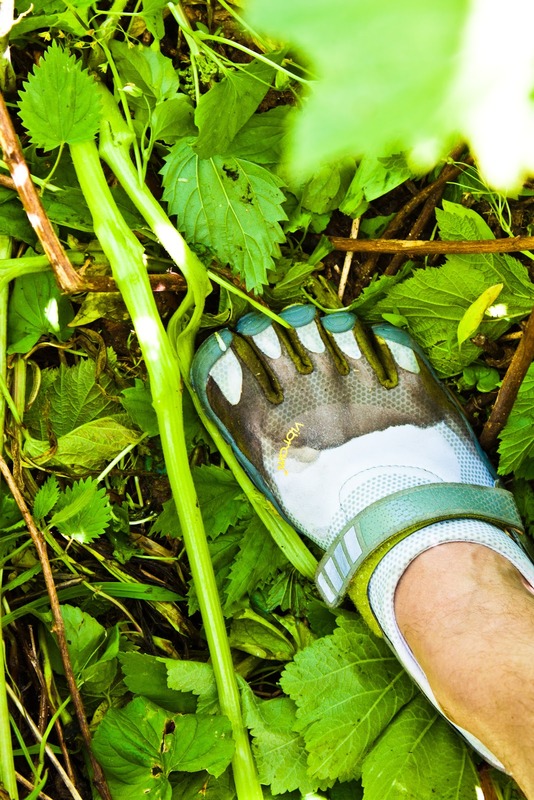 Well, I don’t know much about physiology, so I’m not sure I could diagnose it well (it’s definitely possible I’m doing damage I’m completely unaware of; see this BYU Study on making the barefoot transition carefully). 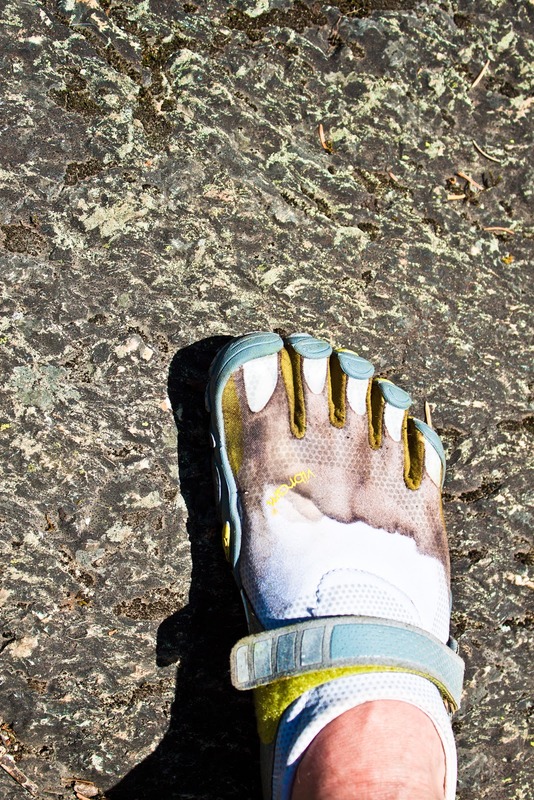 It’s important to transition from normal shoes to these—running only short distances until you build your atrophied muscles back up. I didn’t do this, and I was sore for 8 days the first time I ran in them. And sometimes I don’t run for a few weeks and when I go back I’m sore again for a day or so. But aside from muscle soreness, I’ve been fine. It’s saved me from a couple of ankle rolls (without the depth of a shoe’s sole beneath your feet, an ankle roll has no torque, so it saves you from lateral injuries). Also, my knees stopped getting sore while running too (this is because I’m once again using my body’s natural shock absorption system). 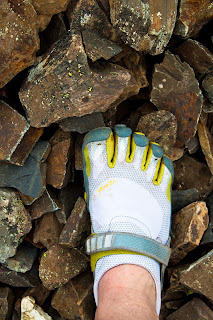 What terrain can you use Vibrams in? Below I show all the terrain I crossed while I was in British Columbia last week. The large, sharp rocks were the worst. You have to go slowly. 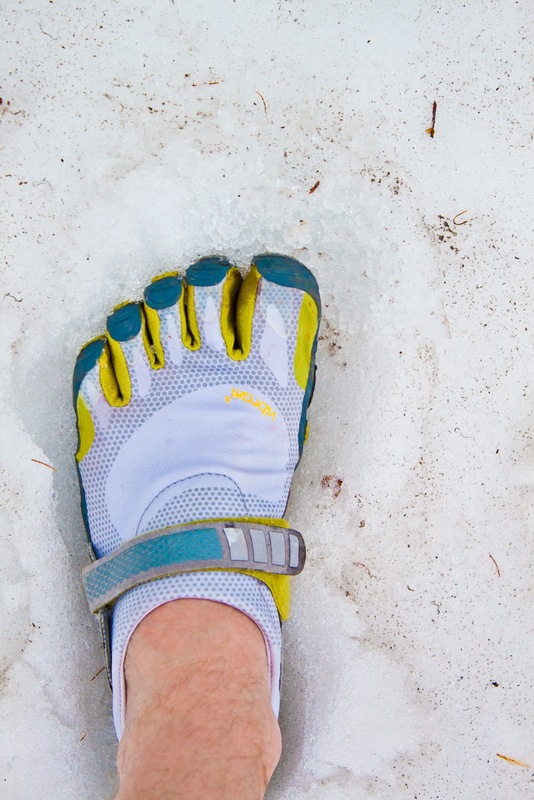 The snow is pretty cool, because you can quickly feel the change in temperature—the soles are so thin. 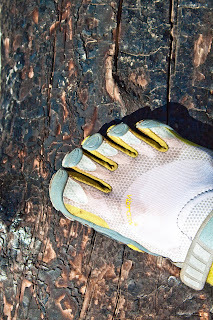 One cool thing about Vibrams is that they’re thin, so you can feel textures and temperatures well. This photo on the right is next to a bear track. It’s hard to tell in the photo, but the print showed clear claw marks. This moss here was about 10 inches thick, and soft like a pillow—again, so cool to feel the texture. 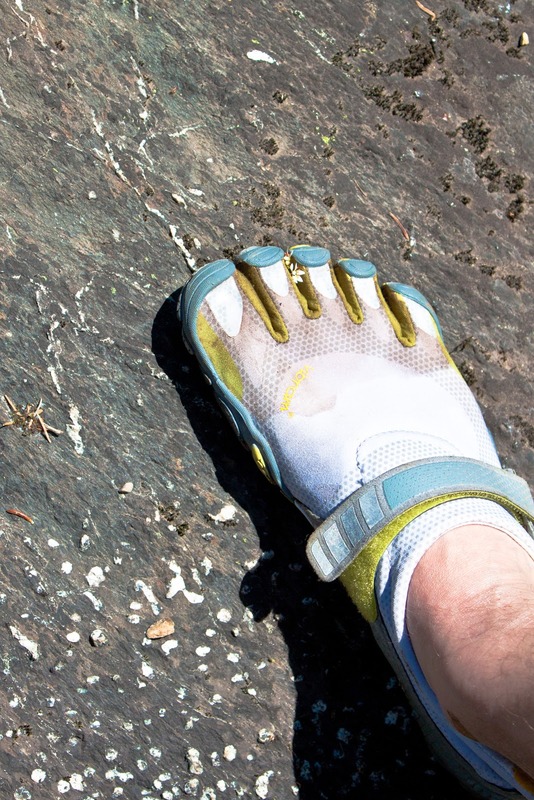 Should I buy the Vibram Five-Finger shoes? 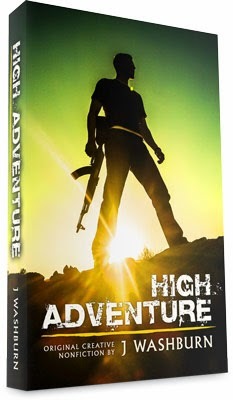 Here’s my summary-review: First, they’re a little pricey. I paid $100 for mine (the Bikilas). 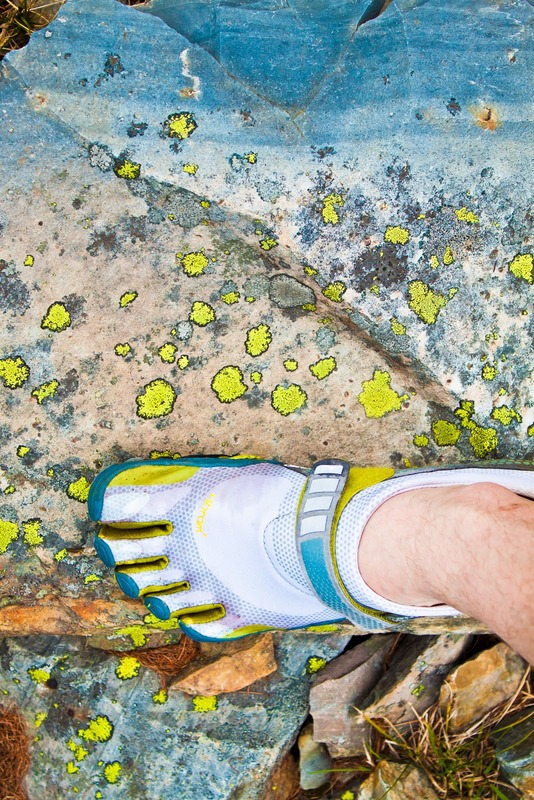 Second, they’re not great for lounging in—because you don’t wear socks, they tend to get sweaty and smelly. 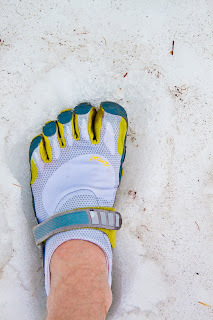 UPDATE: I bought toe socks, which work just fine even in these form-fitting shoes. 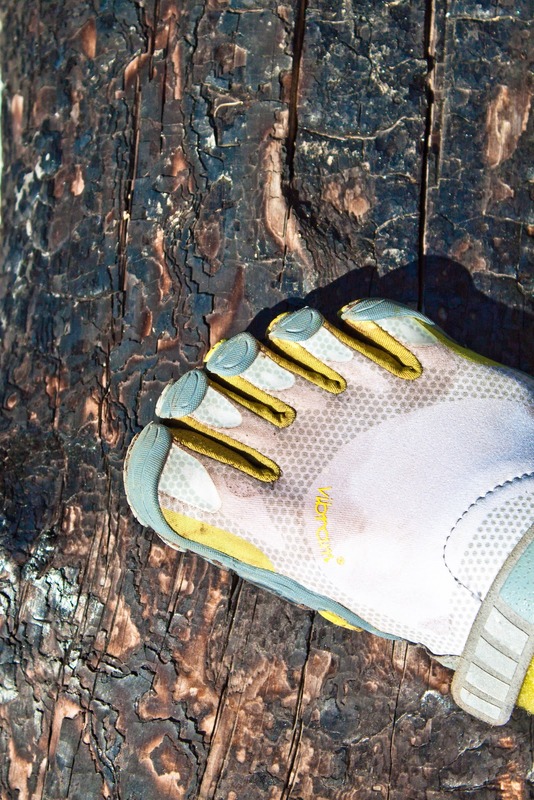 Third, they’re very thin—not much more protection than going barefoot. But I love them. They’re so light. And you feel free. 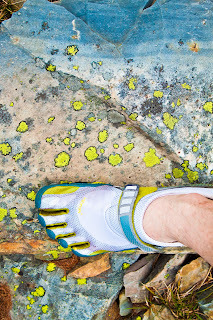 In fact, I feel like I can run faster in them (even if it’s just psychological). 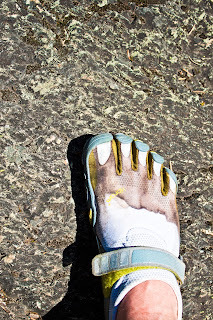 The theory goes on to say that the foot is a natural shock absorber. And using it like it was designed—or evolved—will actually help your knees and back. I’ve experienced this too. That’s my review. The choice is up to you. If you want more crazy ideas, here’s a sneak-peak at my caveman diet. 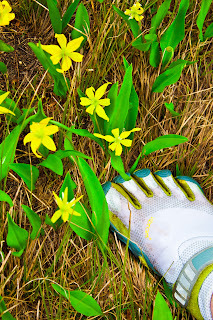 It's funny, people are curious, but open to Vibrams when I'm wearing them and say hiking in Zion Natl Park. But when I show up to basketball in them, that's when they're curious, but guarded. And rightly so, one runner I know who's also pretty good at ball, broke his little toe playing b-ball in Vibrams. Somebody stepped on it and he took off the other direction. But I still wear mine. It's interesting, in the group of guys I play ball with, the one who's always spraining his ankle is the only one who wears ankle braces. 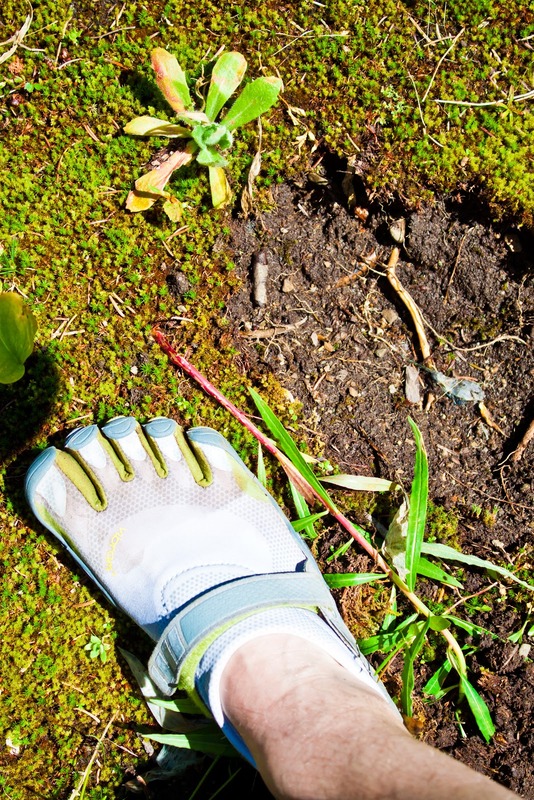 I've rolled mine once since I started playing in Vibrams, and I swear it recovered much, much quicker than it used to.